Is Social Security Enough For Retirement? Do you remember how old you were when you started thinking about retirement and the life you wanted to lead in retirement? What about Social Security? You know, the money that comes out of your paycheck that’s supposed to take care of you once you’re retired? Well, hopefully, you don’t believe that last sentence there. We don’t want you to think you can retire on Social Security alone. In fact, we want to discuss why you should plan to do the exact opposite. I’m not going to lie. Growing up I didn’t think about retirement at all. What kid does? By the time I realized what the word retirement even meant, it seemed like something that would still be in my very far future. As a young adult, it still wasn’t on my mind until around the time that I graduated college and got my first “real” job. Like most people, I received information about investing in the company’s 401(k). Investing sounded like it was something good to do considering the brief conversations I had with coworkers who were around my age. And I did recall some talk in the past about, “Oh. You young people won’t even have Social Security when y’all get old. It will have run out by then.” Go figure. In college, I sort of instinctively knew I had to have something saved. It’s why I kept $1000 to $2000 in my savings account. I got this money from the school, but it wasn’t from a loan or anything and they didn’t want it back. This money was used for car repairs, books, and unforeseen expenses. I would dip into that fund to help Kim with car repairs when we were dating in college as well. Honestly though, back then, investing was just a vague term for what rich people did to make money. I thought I had to have huge sums of money to even get started. Since huge sums of money weren’t in my future (lol) I didn’t think I had access to even start. Talk about self-limiting beliefs. Smh. When I graduated and got my first real job I did invest in my 401K. I had no idea what I was doing though. To this day, I couldn’t tell you what I was invested in. I did manage to save up $3K in retirement in my first year at my job. And then I was laid off. I would later use that retirement money to pay off the last of my debt. This caused a hefty tax bill. Lesson learned there. I didn’t really learn about investing until 4 years later. I found the blog ‘Get Rich Slowly’ and after scouring that website I found this post. This was the beginning of my real education about investing. Considering that most Americans live paycheck to paycheck and can’t afford to cover an emergency more than $1000, it comes as no surprise that Americans have little to no money saved for retirement. And this just won’t cut it considering the average monthly Social Security benefit and average retirement expenses. Don’t believe us? Let’s look at some numbers. The average monthly Social Security benefit can vary from person to person, but it averages around $1400 per month, which is $16,800 per year per person. And depending on the amount, it can be taxable of course. When you decide to retire can also affect how much Social Security benefit you will receive. If you take early retirement (before age 65) you will receive less than if you take a late retirement. $16,800 for Social Security benefit per year. Let that number sink in. Because more than likely you’re currently making more than that right now. And if you have a spouse, you can double that number to $33,600 per year. Given the average Social Security benefit, you also must take into consideration retirement expenses. These numbers can vary from person to person as well, but here are the average retirement expenses per month according to the latest numbers from the Bureau of Labor Statistics (2016). Housing is the biggest chunk of money in all the categories, especially if you still have a mortgage. Housing costs also include property taxes, insurance, utilities, and repairs/maintenance. The next big chunk is transportation, which includes insurance, gas, and maintenance/repairs. Although there’s Medicare to help cover the costs, there’s still an out-of-pocket expense. And this number typically increases as you get older. This one is pretty self-explanatory. Notice that this list of expenses only includes necessities. It doesn’t account for any type of leisure activities or donations of any sorts. The total of the above expenses alone is $34,452. Regardless of if you’re single or married in retirement, you would be in the negative based on a Social Security benefit of $16,800 per person and expenses of $34,452. 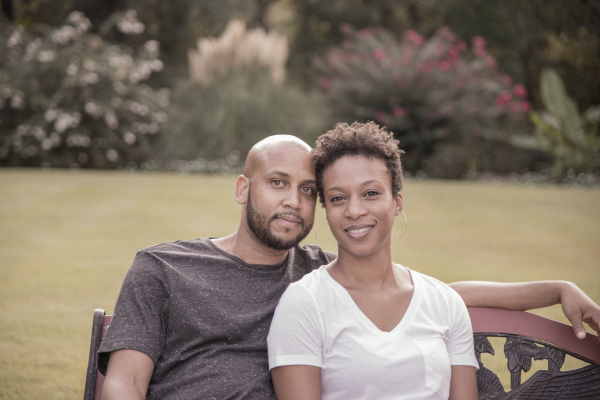 Given what we’ve learned, the statistics, and even people we know personally or otherwise, it’s obvious that we must do something in regards to saving for retirement. And honestly, it’s not just something. We have to plan to cover most of our retirement costs because Social Security isn’t going to cut it. If the above numbers aren’t enough to convince you why Social Security isn’t enough for retirement, let’s dig a little deeper. As stated before, the above expenses don’t account for any leisure activities or donations of any sorts. So, that would make for a less than thrilling retirement. It also didn’t account for any type of debt (with the exception of a mortgage and/or car payment depending on how much they are). The closer and closer you get to retirement age and still have debt, the more your expenses will clearly outweigh your Social Security income. You might be looking at having to retire later than 65, if you can retire at all, just to make ends meet. Regardless of when people start to think of retirement, they begin to imagine what life will be like after they stop working. And they think about all the possibilities of the things they want to do with their free time. But who would want to go into retirement broke or facing the fact that they can’t ever retire or enjoy retirement as they envisioned? This is why you must plan for retirement sooner rather than later. We’re not sure what the average age is when people usually start to think about planning for retirement, but one thing we’re sure about is… The earlier, the better. The earlier you get out of debt and stay out of debt, the better. The earlier you start thinking about and planning for retirement outside of Social Security, the better. At this point, you’re probably wondering, “Well they said all of this, but haven’t mentioned what to do to plan for retirement.” That’s where our next post comes in because we don’t want to make this one too long. But it’s focused around one word… INVEST. 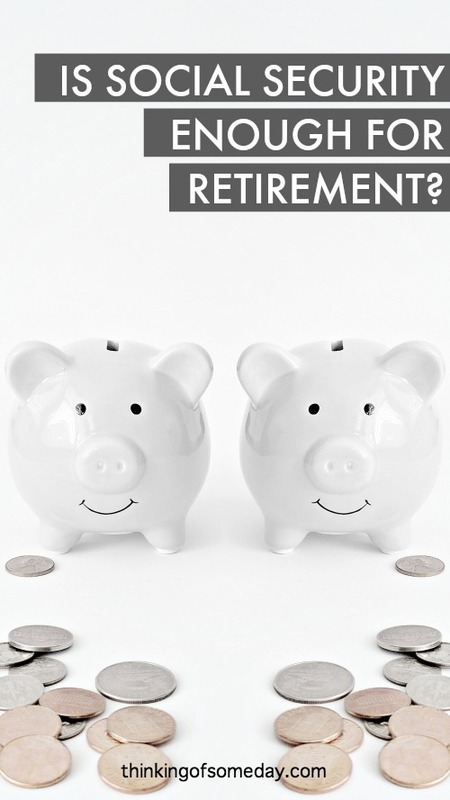 Have you thought about retirement and how you plan to afford it once you’re ready to retire? Let us know your thoughts. I think it depends. In 7 years my wife and I will be able to draw $71,000 from Social Security. That is $60,000 in today’s dollars which exceeds the median household income. While we won’t have to live on it since we can withdraw six figures easily from our investments for perpetuity, we could live on it pretty well I think. Of course the way our benefits will be so high is we are deferring them until age 70, and I made the max contribution limit compensation for my entire work history. Thanks for sharing your thoughts. I agree that it depends on your situation. Your scenario sounds good in that you’ll be getting $71k and you have investments as well. I just wanted to put the information out there for people to think about it before it’s too late. I’ve heard of people and know people on both ends where if they didn’t have any investments, then the social security likely wouldn’t be enough. And people who are planning to work until 70 so that they can get their max benefit, but they don’t really want to work until 70 and hopefully their Social Security income will be enough. Absolutely, very few people will get anywhere near that much and most also have not saved and invested aggressively as my wife and I have done. I thought the post was very accurate and timely. It simply will be too late for many when they realize they won’t be getting much from social security. If your post wakes up just one person then it will have been a lifesaver! Even “just one person.” That’s what we keep telling ourselves over and over. Thanks again for taking the time to read and comment. We appreciate it! ….I hope this will encourage young people to start as early as possible. I had no thought or knowledge until I came to the USA at age 32 and I got my first job….I could not afford to invest but thank God my company contributed 15% of my income every year. It took me 10 years before I could afford to contribute. Starting with that small amount has allowed me to retire at age 61…believe me Social Security will not be enough even if you have no mortgage or car payment….start saving….the earlier the better….great job…. I hope it encourages them as well. It’s so important! Does everyone get social security in retirement? Paying off the mortgage would be super important in retirement! Is it similar to the CPP/OAS in Canada that one would receive? It seems pretty similar, the government retirement income is around $1000-1200 a month or so from what I understand. I’m not sure if everyone gets it honestly. The amount you get is based on how much you earn through your working career. Based on a quick google search they social security does appear to be similar to CPP/OAS. Being completely debt free would definitely help but it was still be tight each month. Social security was set up as supplement. Not a solution. I think of the social security benefits as money on the side because it will not be enough to cover most of your expenses when you are retired. It is critical that many should focus on contributing to their retirement accounts. Invest as much as you can on there, contributing to the max every year ($19K for 401K, $6K for IRAs) would be ideal because that means more money being compounded. It would be nice if most companies would have pensions like they did back in the day(some still do offer) but we have to take advantage of what we have in front of us for our retirement income. That’s an interesting point you make regarding pensions. A lot of people have been hurt by companies switch to taking care of the retirement burden for workers as opposed to it being the workers responsibility. It’s so important to continue to learn so that you can adapt to these situations.